While new customers have a cost, existing customers have a value. Emphasis should be given on holding onto your greatest asset – your customers, whose business you’ve already worked hard to earn. 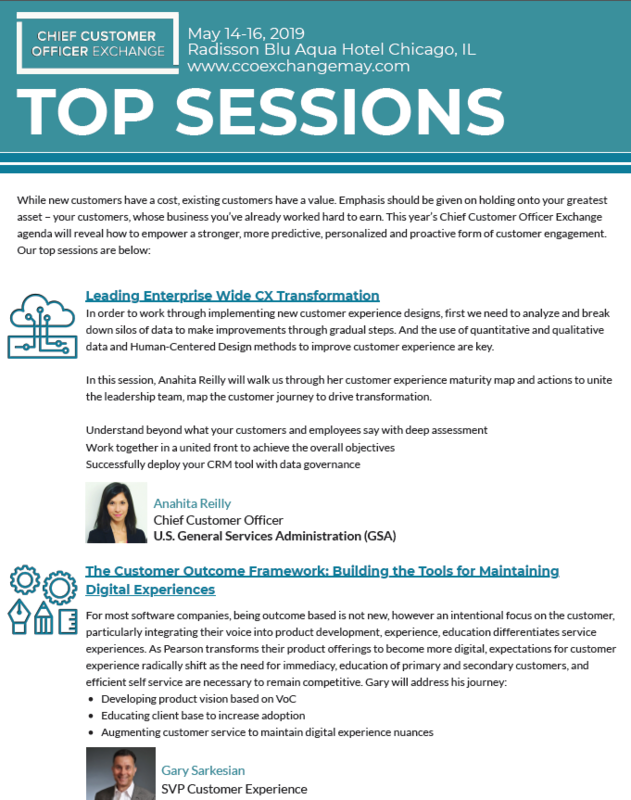 Take a look at the top sessions from this year’s Chief Customer Officer Exchange agenda.